Dr. Marine Martirosyan now offers emergency dental care in the Glendale area for many situations, which can make the difference between saving or losing a tooth. Emergency rooms provide emergency care to stabilize critical health issues, but emergency dental care can be harder to find. Unfortunately, this can leave patients with dental emergencies at risk of losing a tooth or their smiles. 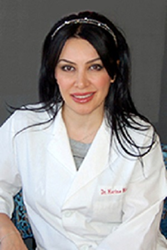 Dr. Marine Martirosyan, dentist in Glendale, is now offering emergency dental care. A dental emergency can be a frightening event. Stabilizing the patient is critical. In some cases, as with an avulsed or dislodged tooth, timing can make the difference between saving and losing a tooth. For this reason, emergency dental services are vital. Dr. Martirosyan, Glendale emergency dentist, is making emergency dental care easier to access for patients throughout the Glendale area. Avulsed teeth can often be replaced in their sockets and allowed to heal. Emergency root canals can save abscessed or dislodged teeth. By seeking care immediately after a dental emergency, patients can minimize the risk of tooth loss or other serious dental problems. With pediatric dentistry, preventative care, cosmetic dentistry, restorative dentistry, braces and orthodontics, patients can correct long-standing problems, prevent new problems and transform their smile into something they are proud and eager to share. After graduating from the University of Southern California, Dr. Marine Martirosyan continued her studies at the prestigious Las Vegas Institute for Advanced Dental Studies. She was later a clinical faculty member at SCU and was recognized with a Lifelong Learner Award. Dr. Martirosyan is a member of the American Academy of Dental Sleep Medicine, the American Academy of Cosmetic Dentistry, the American Dental Association, the American Academy of Laser Dentistry and the Academy of Osseointegration.